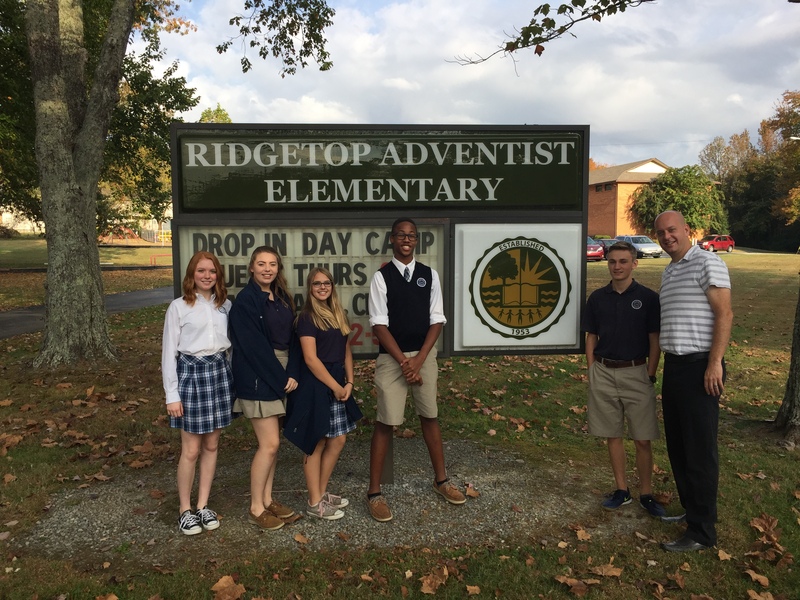 This week students from Madison Academy traveled to Ridgetop Adventist Elementary School each morning to conduct a week of prayer. 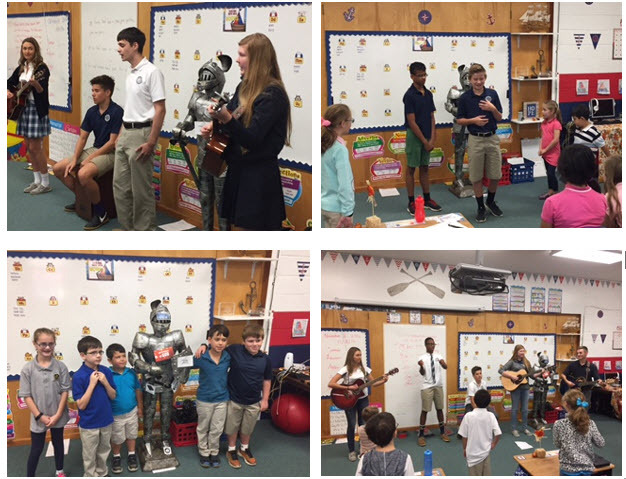 Mr. Jamieson helped those chosen to speak and Mr. Bondaczuk, music teacher, chose students to lead in worship with music. Ten students shared Jesus with the students and staff. They are Brock Anderson, Marlana Bell, Tyler Bell, Jordan P. Brown, Andre Crayton, Pax Fordham, Jake Johnson, Christina Mercado and Jackson Wood. The musicians that shared their musical talents are Donovan Allen, Andre Crayton, Grant Kennedy, Aiden Kroll, Ashlyn Levoy, Madison Morris, Madison Perkins and Abby Tishaw. In chapel today, Coach Ley announced that both the boys team and the girls team won the Tennessee Christian Athletic Association overall cross country championship. The teams were presented with trophies at last nights final event. This is the second year that the teams have finished in first place. The boys team members are Brock Anderson, Spencer Boskind, Conner Collins, Pax Fordham, Jake Johnson, Jonathan Krawchuck, Aiden Kroll, Jonathan Pedrero, Ian and Kyle Petersen, Devin Strong, Will Snider and Jack Wheeler. The girls team members were Marlana Bell, Rose Benoit, Holly Hardin and Brianna Underwood. 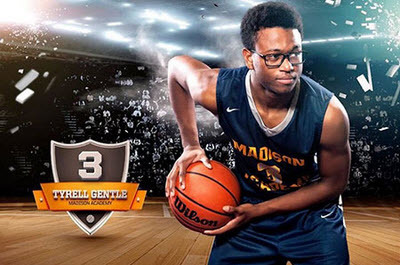 Early on Saturday morning, October 15, Tyrell Gentle, a four-year senior with a love for basketball, soccer and Acros, chose to leave us. That same evening students, parents, staff and church members came together to share memories of Tyrell and support each other as they tried to process what had happened. Returning to school on Monday was difficult, but God showed up in the form of community members and MCE students. Church members and friends came ready to listen, sit quietly with, or hug students and staff, while students from MCE each brought a stuffed animal from home to give to a high school student or staff so they would have something to cuddle and hang on to as they continued with the routine of school. A variety of counselors were available to speak with everyone about the situation and the grieving process. While the initial shock has receded, the administration continues to work with professionals to ensure that students and staff have the support they need in the days and weeks to come. During the celebration of life service held this past Tuesday, the community was able to pay their final respects for Tyrell and show their love and support to his family. Although Tyrell will be greatly missed, we will hold fast on the promise of Jesus coming again! Yesterday, the cross country team competed at Dayspring and placed first. Here are the official results. The Championship match of the Tennessee Christian Athletic Association was played at Madison Academy between Lancaster Christian Academy and Madison. The match was well played by both teams. Each team won two games so a final game was needed to determine the winner. LCA won the championship game and the Madison Academy Knights finished in second place for the tournament. The Tennessee Christian Athletic Association’s [TNCAA] girls volleyball tournament started last night with four high school teams and will conclude tonight. The first match was between Madison Academy JV and Dayspring Academy. Madison Academy won the match and advances to the championship game. In the second match Lancaster Academy won their match with West Academy and advances as well. 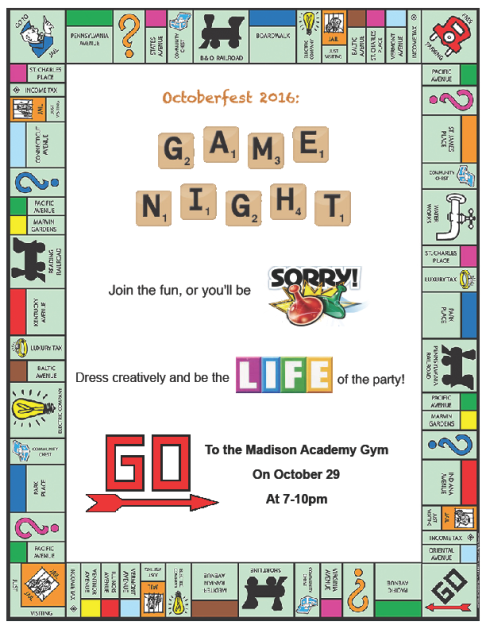 The high school final is at Madison Academy and starts at 6:30pm. 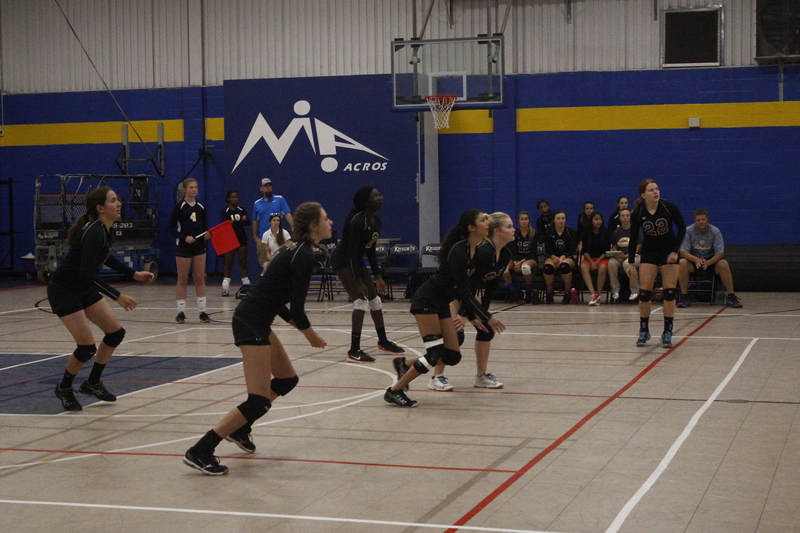 Yesterday, the girls varsity volleyball team played an away match at Lancaster Christian Academy and won 3-1. The team’s overall record improves to 7-8. The team travels to Lincoln, Nebraska to participate in the volleyball tournament at Union College. They will play three games Thursday: 1030am Greater Miami vs Madison, 245pm Madison vs Collegedale and 9pm Madison vs Dakota. The results of Thursdays games will determine seeding for Friday’s games. For a complete schedule and to watch online go to the Union College Invitational webpage. 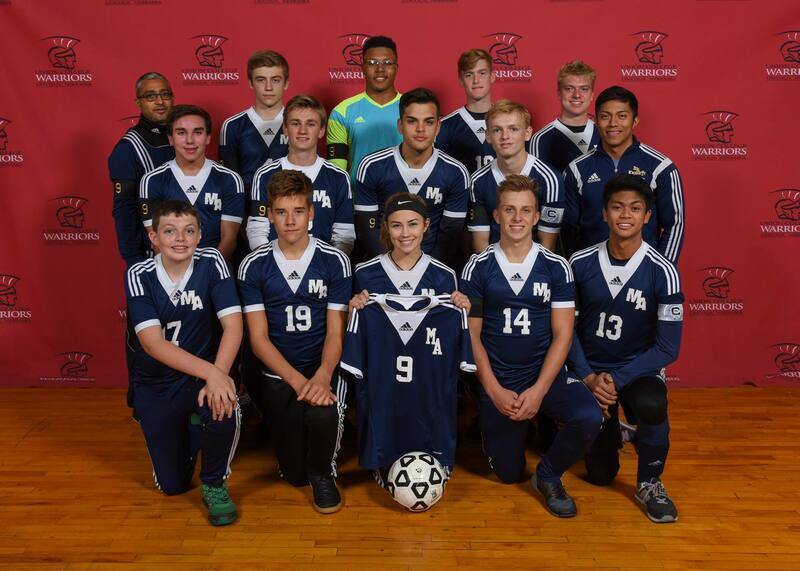 The Madison Academy Soccer team will also travel to Lincoln, NE and participate in the Union College Invitational. The first game is Thursday, at 1215pm Madison vs North Dallas, 345pm Midland vs Madison. Friday the team will play at 845am Campion vs Madison. These are games to determine seeding. To follow the teams progress go the Union College Invitational webpage. All the Madison Academy athletes will also tour the campus and consider the career options offered at Union College.